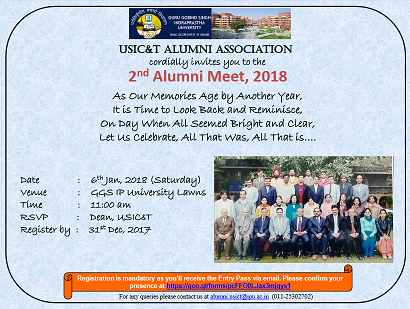 All registered alumni are invited for the Meet. Interested Alumni may kindly send their consent to amit@ipu.ac.in. Name of members of the Governing Body including executing body members of Alumni Association of USIT, GGSIPU.